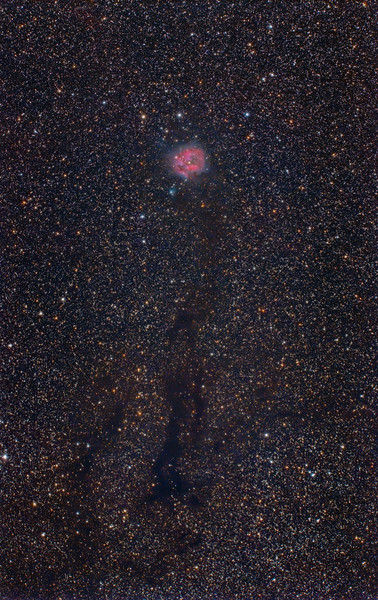 A widefield view of the Cocoon Nebula. Image taken by Lynn Hilborn, WhistleStop Observatory, Grafton, Ontario on August 9 and 22, 2016. Teleskop Service 130mm f5.6 and modified Canon 6D, 20x 10minutes at 3200iso.